How Do You Determine When You Are Ready To Compete? TOPIC: How Do You Determine When You Are Ready To Compete? The regular dedicated bodybuilders sometimes know when to enter a contest and when not to. Unfortunately, this isn't true for everyone. 110lb Joey, who started working out 6 weeks ago may think that he is ready, but is really not. How do you determine when you are ready to compete in your first bodybuilding contest? How much muscle should you have? What should your body fat be? Etc. What are some helpful tips before entering a bodybuilding contest? Bonus Question: Have you ever entered a bodybuilding contest? If so, do you think you were ready? Why? If not, do you think you would be able to prepare for one with only 3 months time? Why, or why not? Let's talk about competing in a bodybuilding contest. Like many sports, bodybuilding has competitions to see who has worked harder and excels above others in the sport. Bodybuilding is different from most sports, though, as there is no set season for competition. You can find a competition at any time of the year if you look hard enough. There is really no rush, but you should have an idea of when you plan on competing if you want to be prepared. For this reason, it is important that you know when you are ready to step on that stage oiled up, in posing trunks and sporting those cuts and veins that make the judges go crazy. Hold on a second there. How do you even know if you are ready to begin contest prep? In my opinion, the contest doesn't start on the same day that it takes place. The contest starts as soon as you make that decision to compete in bodybuilding because it is you competing against every other bodybuilder to see who will work the hardest and build the leanest mass. So, to know when you should be ready to compete, you have to know when you can start cutting - how much muscle should you have? How much time will you need to drop body fat? When you step on stage - that is just really showing who won the contest - the person who worked the hardest and came in with no question marks in their eyes is the winner on this day. Just how much preparation do you need to do, though? How do you know when you are ready? You need to be ready to step on that stage jacked and peeled, with all of the poses memorized and rehearsed and also have a large base of muscle mass. Just how lean should you be, though? How much muscle mass do you need to be sporting? Getting ready for a competition is hard work, and because bodybuilding is year-round, you should time your competition choices just right to know when you are ready to begin competing. This article will shed some light on being ready to compete in bodybuilding, answering all of the questions above, and also will provide some tips on how to prepare and bring the details together to make a perfect product. I have not entered a bodybuilding contest, but I am going to share my thoughts on the subject, and what I would do to prepare. Before entering and competing in a bodybuilding contest and beginning to prepare for one, there are a few things that you should have in check. First, you need a good base of muscle mass - you aren't going to show much muscle separation or development if you've just been working out for half of the year, no matter how good your conditioning is. Next on the list is time. Do you have time to get ready? It takes, on average, 2 weeks to drop 1% off of your body fat, but sometimes it can take longer. You want enough time to drop that body fat slowly and steadily so that you don't lose muscle mass. Finally, you need to have a good understanding of bodybuilding competitions, so your hard work doesn't go to waste. How Much Muscle Do You Need? How much muscle you need for a contest is not something that you can easily say a number of pounds of mass for and leave it at that. Everybody carries weight differently, even muscle, and some people are taller or shorter, so they will naturally carry more or less pounds of lean mass. But I believe that to enter a bodybuilding contest, your physique needs to have certain qualities about it. The judges won't go up and measure your arms, write that down and then see who wins the most points for arms. Instead, they will look to see if your muscles look large in proportion to the rest of your frame. This type of muscular development only comes with time and consistency, and you are only ready to compete when your physique satisfies all of these qualities when contest-ready. The upper body has a great deal of detail and if you are missing any of these details, you put yourself at a disadvantage to other competitors. The chest should be full and square with an equal development between upper and lower pecs. You should be able to see that split in-between the upper and lower pecs a few weeks out from your contest. You want your back to be thick and wide so that you create a V-Taper. You also need some development of the intercostals and lower back. The shoulders should be fully developed, with all three heads full and round. Biceps should pop out of the arms and show a large peak, but also have thickness to them. For triceps, you should feel the back of your arm, and see if you really have development of all three heads. The forearms should be developed from all angles. The lower body, which includes the waist and legs, also must be developed, and should not dwarf the upper body. Waist should be small. Keep in mind, though, that your waist will shrink as you prepare for a contest, so your waist doesn't have to start small. Your quadriceps must be well trained so that they show all four heads when you are in your best condition. The hamstrings should have separation from the quadriceps and be striated and grainy. Make sure that your glutes are well developed. For most people, glutes grow from squats and deadlifts alone, so you won't have any problems there. Just make sure that you aren't holding fat on the glutes - that area should be one hundred percent muscle tissue. The calves should show development of all of the sub-muscle groups, and have length and peak. Overall, there isn't a set amount of muscle mass that you need to compete, but at your best conditioned weight you should have these qualities and look to improve them as you prepare for the contest. You will probably want to have these things stand out, and every time you compete, try to add to the separation between muscles, or add to the size of the muscles, so that more definition can be seen. What Should Your Body Fat Levels Be Like? The next item on your check list is body fat. You don't want to be holding a good deal of body fat, especially if your show is in less than 12 weeks. You want to already be a bit lean before you begin your contest prep, so that you won't accidentally come in to the show holding too much body fat on your frame, hurting your conditioning levels. Before a show, if you are holding too much body fat, the qualities which I mentioned above will not be present, and you will not do well at all. You need to lose body fat while maintaining lean mass. There are some signs that you can look for to see if your body fat levels are low enough to compete. Look for these things to be present (or not present), at the latest, one week out of the show. First of all, if you lift your arms up, and ask yourself does your chest disappear? If the answer is yes, then you should have been more prepared. You should have some veins in key areas, too. Do you have veins running along the bicep? The calves should have some veins if you are really ready for your contest, too. The back muscles usually don't become very vascular, except for under the armpits. The chest should have a good deal of striations and vascularity, especially that cut in between the upper and lower chest which I mentioned before. The forearms are another area that is usually ridiculously vascular- make sure you are at a low enough body fat where the veins ripple down your lower arms like snakes. If you must have a number for this, I'd say that you will want to enter a contest with below 7 percent body fat. Remember, as your body grows more muscle tissue, it will be easier to reach these low body fat levels because a higher percent of your body will already be muscle. So, holding muscle is another important factor in achieving low body fat. Being mentally ready is also very important for a show. You need to know what your strengths and weaknesses will be on stage. Know your poses. Know how to make the lighting compliment your physique best. Know that you worked your hardest. Knowledge is probably the easiest thing to obtain in bodybuilding, so don't miss out on any of this information and end up without an advantage that another competitor has. One thing that you can do to prepare is to video-tape yourself posing in similar lighting that there will be at the show, so that you can see what poses make you look your best. Even how you move in between poses is important, so work on that, too. Pretend you are at the contest and the judges are shouting out poses - then watch the video and critique your facial expressions, how the light hits your body, your posing form and your movement in between poses. Knowing your strengths and weaknesses on stage is key! Many times, since Franco Columbo was a short bodybuilder, he would do poses that involve doing splits, or kneeling. This way, height would be less of an issue. Arnold, a bodybuilding genius on stage, would always perform poses that contrasted with his opponents. If his opponent did a pose that showed their thick body, he would perform a twisting pose, to make himself look slim compared to the other person. Make sure you know how to cover games like this where you can give yourself an advantage through illusions on stage. This is not cheating; it is knowing how to display your body! Do some brainstorming on how you can handle your opponents. Remember, only perform the same pose as the person next to you if you are sure that your pose is better than theirs. If you are not as strong in that pose, show one of your strengths, and bring it up later. This does not go for compulsory poses, but is helpful in later rounds in a bodybuilding show. The most important thing when entering a show is confidence. Don't be the guy who walks on stage with his head down. If you have your head down when you walk on stage for the first time, that means you know deep down that you didn't do everything that you could to be ready to win. You didn't do your best and you could have come in more shredded if you had just skipped that second cheat meal on day 36 of your contest prep. If you had worked harder in the off season, could you have been bigger? Those kinds of things put question marks in your eyes. Confidence is key on stage not just so that you did your best and are physically in shape, but because if you are in a great, proud mood on stage, you will give off good feelings that the judges will pick up on. The way you move will be more aesthetic and attractive. This kind of thing is just natural, and bound to take place if you start working as hard as you can and do everything that you can to be ready, starting now. In fact, I don't care when your contest is. You probably don't know exactly when it is either. Just stop slacking off, stop missing meals, stop having an extra few chocolate chip cookies before bed, stop going light in the gym, and start giving your all. Then you will walk on stage mentally ready with no question marks in your eyes. To sum it all up, being mentally ready involves having the right knowledge to compete and the right mindset to win. Overall, to be ready for a bodybuilding contest, you should have the things I mentioned above - mass, low body fat and knowledge of the game on stage. If you are a few years into bodybuilding, the mass should be there, so just make sure you are mentally ready to compete, and that you have a solid plan to drop to in-human body fat levels, and that is really all that it takes to compete in a bodybuilding show! Besides knowing when you should compete, you should also give yourself time to be ready, and know how to prepare for a show. I'm going to touch on that a little bit here. Diet is key before a show. You want to eat below maintenance so that you are not holding too much water for the show, and so that you allow yourself to drop body fat. Training is important leading up to a contest because you need to be able to maintain muscle mass. Getting sleep every night will maximize fat loss before a show. Finally, you should talk to others who have competed for insight and experience. Having a strict diet to get ready for a show is key. You should limit yourself from indulging in a cheat meal, or any food with lots of saturated fats or simple carbs to once a week as soon as you start contest preparation. I would suggest having some pancakes and bacon as a cheat meal - this will also refuel the body's carbohydrate stores, and is a nice tasty meal to keep you sane. If you must eat out, pick the chicken or salmon, and get a sweet potato without butter. Know ways to get out of situations where you are forced to eat fattening foods - all you have to do is show that you are sure of yourself and that you would gladly like the food but you are dedicated - don't be embarrassed about turning down unhealthy food, be proud of it! Maintaining muscle mass before a show is extremely important. Some bodybuilders will go on the 8-week hell diet before a contest, and drop 20 pounds of fat and 20 pounds of muscle. If you keep your diet loaded with proteins and keep some healthy carbs and fats in, you will lose weight at a slower rate, so more of it will be body fat, and less of it will be lean tissue. Losing some muscle is inevitable, though, especially at the very end of your contest preparations. You should try to lose only a maximum of one pound per week if you start your contest preparation at around 12-15 percent body fat. If you are above that before you begin a contest diet, then you should probably take extra time before the show to lose that fat before you really begin shredding your body up. Diet isn't the only aspect of bodybuilding that will allow you to maintain muscle, though. You also need to maintain your intensity in the gym. Going to the gym isn't just for bodybuilders looking to add mass. You should keep lifting the same weights in the gym that you did in the off season even when you are preparing for a show. This will keep all of the muscle that you built stimulated. If you go back to lifting the same weights that you did 10 weeks before you ended your off season training, then you will go back down to holding the same amount of muscle than you held then. If you stick with the same weights that you had been using at the peak of your off-season training and maybe even increase them, though, you will maintain muscle mass and add to development. Keeping muscle mass is important because muscle mass is necessary to create separations and that vascular appearance. When preparing for a show, you should keep at the same weights for most of your movements, but you may feel the need to do less work on those movements so that you can add in more training in the form of cardio or shaping movements. When you are preparing for a show, you should really be doing much more work than you did in the off season. You should add in movements that will shape your physique by bringing up specific areas, such as rear lateral raises, dumbbell concentration curls and reverse calf raises, among other movements. Do these after your heavy compound movements, though. You will also probably have doubled your cardio training towards the end of your contest preparation phase, as this will allow you to lose body fat faster. To be in top conditioning, you won't be doing the same amount of work that you did when you were fat and slow in the off season, you will need to be doing much more than that! In the off season, you were probably doing about one hour of cardio per week - just enough to keep the body fat levels low, but not too much that it cuts into your energy to train. Since I lift weights four times every week, I will also throw in a 15 minute cardio session on the treadmill at an incline as my cardio. This is most convenient for me and doesn't slow down my progress in the gym. For me, this is better than splitting cardio from lifting, especially because I get a full day of rest in between workouts, not just half a day after splitting up my cardio from my lifting. You can go for walks in the morning and try to use the stairs more often to make yourself more fit. High-intensity cardio would be a good workout for some off days, but don't burn yourself out at the beginning- work this type of cardio in as you go to see how much you can handle. Other things that you can do to maintain muscle mass are to maximize protein intake, take control of your workout nutrition, and incorporate supplements into your diet. Keeping the same amount of protein in your diet that you consumed in the off season is very important, because it will allow you to keep that muscle mass that you built recovered. Think about it - if you were lifting a lot of weight then and eating a lot of protein, but now you lift a lot of weight but don't eat a lot of protein, won't your body react by cutting off its recovery of the muscle tissue? Workout nutrition is key, especially if you do cardio right after a workout. Try to eat carbohydrates before and after a workout, and also consume a shake with dextrose and amino acids during the training session. Another key point is that you should begin to supplement with amino acids more heavily so that you can quickly and efficiently repair muscle tissue. SciVation Xtend is the best amino acid product that I know of. Repairing muscle tissue so that you don't lose it is always important, but more important for a show, because you won't have time to put the lost muscle back on before you compete! Sleep is another aspect of bodybuilding that will allow you to keep your size on. Getting a good night's sleep is also an effective method for weight loss, though! People who don't sleep enough generally put on fat quickly because their bodies do not produce a normal level of growth hormone. You should try to put in a good eight to ten hours of sleep a night so that your body can burn fat and maintain muscle tissue. Posing is key in any bodybuilding show. 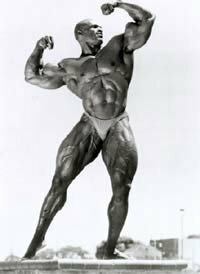 If you want to be good at posing, then you need to study bodybuilders. Look at their pictures and videos to see how they move from pose to pose, how they perform each compulsory pose, and how they show off their physique development. You should work on posing after every workout session in the gym. Try to hold each pose that you plan on doing for fifteen seconds, without your face turning beet red and barring your teeth like an angry dog. This will be difficult, but your face needs to have a nice smile while your muscles should be flexed and under control. If you just head into a show with no practice posing, you will probably cramp up pretty easily, too, which will make you uncomfortable. As you near your show, start posing every morning, and tape a posing video once per week. This posing video will allow you to see your style and also to see if you are becoming leaner each week, so it serves two purposes. Overall, posing practice and knowing your physique's strengths are key in bodybuilding competitions. Don't let your great physique go to waste! Even though this article itself is helpful, if this is your first show that we are talking about here you will want to get as many opinions as possible. Talk to everybody that knows anything at all about bodybuilding. Ask them what your weak points are, how your posing is, and what you can change in your diet and training. Then, you can maximize your performance in the show. Have you ever entered a bodybuilding contest? If so, do you think you were ready? Why? If not, do you think you would be able to prepare for one with only 3 months time? Why, or why not? I have never entered a body building contest. If I did though, I would know when to be ready, and what to do. I feel that I am ready to compete whenever the opportunity presents itself. This is because I have the knowledge about what goes on at the competition, how to make my contest preparation work for my benefit and I have my priorities straight. If you also satisfy those qualities then you are probably ready to compete, too. Three months time would definitely be enough time to get ready for a show. Not that I think contest preparation is easy, but I think that I stay lean enough in the off season, thanks to cardio training and a good diet, that I don't need to worry about cutting off more than twelve weeks worth of fat. I have a great deal of experience losing body fat even if I haven't competed before, so I will know what to look for during my contest preparation, because contest preparation is really just a slightly extended cutting phase. I would have plenty of access to information about the day of the contest thanks to Bodybuilding.com's main website, and from my journals that I have kept of my weightlifting and bodybuilding progress. If I found that 3 months out from a show, I was holding a bit more fat than I normally do in the off season, I would still try to prepare for the show. I feel that if I really want to compete, I would not want to miss the opportunity, so I would lose weight a bit faster than what would be ideal. Still, I could come in to the show ripped, and get the experience being on stage and know that I did my best preparing for the contest. I might have some question marks in my eyes if I did this, though. Try to stay in good shape during the off season in case anything like this happens to you. There are quite a few details that you should look for to know when you are ready to compete. Your physique development, your posing, and your mindset are all key before a contest. You can ensure that all of this is perfect for you through hard work and a strong desire to do your best in the show. The best part of competing in bodybuilding is that you can really pick any time of the year to compete so that you are sure that you are ready. Always remember, the competition isn't just one day, it is a competition that starts even before you sign up for the show, to see who works the hardest, who doesn't slack off in tough times and who is most dedicated to the art of bodybuilding. Ok change place! Yes, you number 4 with number 12, ok thank you. Back double biceps shot, thank you. From the judges to the concentration, competing is the final factor in bodybuilding. It is the pinnacle of the main goal we are all trying to achieve. That moment on stage should be the day you show off all the hard work and stress you put on your body and mind for years on end. Either you put in the effort and go for a local show or you don't, it's that simple. In my book you're only truly recognized as a bodybuilder once you compete and get a place in the top ten. It may be harsh, yet it makes sense, as the guys in the upper echelons have made the biggest sacrifices to look the way they do. Competing is no mean feat. You must have a 100% critical look at yourself, to make sure from your neck to your calves, that you are built to the maximum amount that will guarantee that you will win. Symmetry, balance and presentation are what the judges should be looking for. Strive and impress. After all, that's what we all go for. We aim to be number one! I understand that a champion is built by past failure. 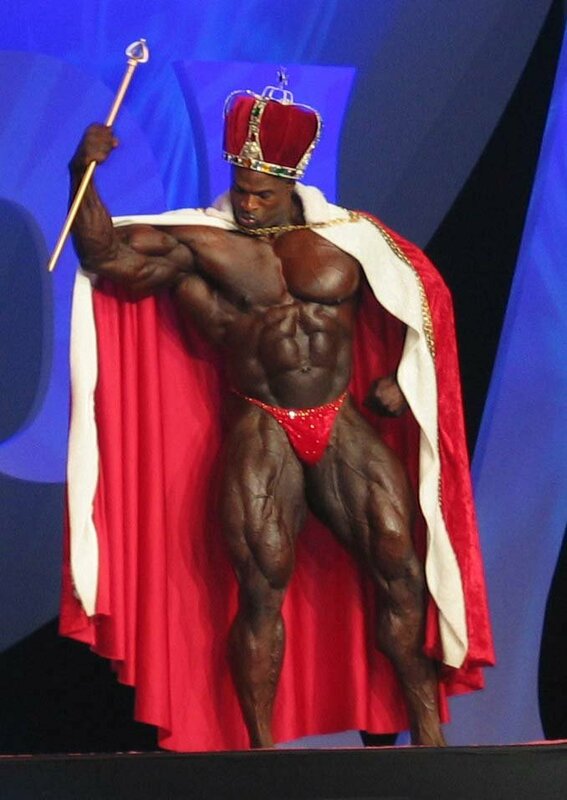 Just look at Ronnie Coleman, he didn't win at the start of his career, yet look at him now! You have to have the training and mental philosophies in place, to be sure that when you strike your first pose that the judges will be in absolute awe of you. Before we jump into this, remember all of the time spent dieting, training, drinking water, going through very hard times, all shows strength of character. The guys up there on stage, who are near the top in the Olympia or NPC, clearly show that they have that characteristic. That special knack to battle through the guaranteed rough times. Not everyone has it, but then again not everyone is a champion. Live to be a champion! You will be remembered as one forever. R.E.A.D.Y. - an acronym for our purposes. You must have the raging desire to go out and literally kick *ss. You must be so pumped up and focused, that you will not even care if a bomb went off! You must keep it in your head that this is all that matters, and that you have to keep going on with your daily routines and your diet. You must have the rage that gets you up every time, and keeps the taste of victory on the tip of your tongue. The excitement must be from when you wake up and chug down your meals and obligatory supplements. You need to take excitement to the point of when you want to throw up after your last set of squats. The excitement must be to the point that it's so vivid your dreams are consumed by pure joy. You anticipate picking up heavy weights, eating bland meals that will make you better tomorrow. You anticipate what will happen tomorrow as you have the plan to winning all sorted out! You anticipate winning and striking that most muscular pose that blows the competition away. You have the discipline and tenacity to go to sleep early, instead of watching a movie, so that you can raise growth hormone levels. After all, you do grow at sleep time. You skip going clubbing with your friends because you must win and achieve. Yesterday - so many people always forget that today will soon be yesterday. People always put off work for "tomorrow", but they could have done it already. So basically do what you can in the day, a time you are in now, namely the present! It's the best time to better you! You never know what will happen tomorrow! The regular dedicated bodybuilders sometimes know when to enter a contest and when not to. Unfortunately, this isn't true for everyone. 110lb Joey, who started working out 6 weeks ago, may think that he is ready, but is really not. How do you know you're ready? Let me tell you something... you don't. As I'm lying here in the dark, alone in the gym and thinking about the next 18 weeks, I know this... You won't find answers anywhere. It's not written in any book. There's no guide. Nobody's gonna tell you it's time. Only one person will know...You. You just got to want it bad enough. Maybe one day you'll wake up and you'll know today's the day and you start your own journey. Just remember this: making the decision to venture into the unknown, into uncharted territory - that's the hard part. If you can get over that, then your future will open up. Destiny will be within your grasp. That doesn't mean things will get any easier. Heck no they won't. But just getting to the edge, being able to look over - that's why I'm here. Listen, you can't wait until you think you're ready. I got news for you - you'll never be ready. You'll never be big enough. "You'll never be lean enough. Your lagging parts will never catch up quick enough. So if you waited for that time when you thought you might be ready, you'd never step up. If you don't step up, you're not in the game. I'm in the game. I'm gonna look and see what's on the other side..."
Now if that doesn't give you a clear message as to when you should be ready then there is no chance for you. It really is a state of mind. So much of this sport is such. People will doubt and ridicule you for being who you are. Keep in mind that you're making the sacrifices alone! These choices along the road will determine your journey. Please make the most of it, as you only live once (as far as we know!). A thorough knowledge of the battlefield, or competitors in other words, as well as the judging panel patterns. If you were to take a piece of paper and put a basic design on the one side with a brush and paint, then folded it carefully and take away the two sides - they should look the same. That is the same idea with the body. If you were to look at your physique, you would want to know, if you look at one side, that it is the same as the other side. Many minor problems with symmetrical bodyparts go unnoticed for years. This is dangerous and detrimental to your future bodybuilding career. A question for you! Do you ever feel while doing simple barbell curls your one arm near the end of the heavier sets makes up for the other arm by lifting the weight up higher than the other side? If so then you're creating a future imbalance which could be dramatically traumatizing (not only for your contests but everyday life as well). This is corrected by lowering the weight slightly, and watching carefully that the weights go up and down at the same rate as each opposing hand. Body Fat and Lean Body Mass are all very important factors - this bodily composition can be broken up. The more LBM you have the better, and as your body fat decreases, the lean body mass (LBM) increases. Made up of essential (to continue living healthily) fat, and the fat that is in excess and waste. This is potentially dangerous visceral or subcutaneous fat. You can pretty much understand what is being explained here by the title. Anything in the body which is not fat. An example is the skeleton, or the major organs. How much bone density there is and the weight thereof. The bones need to be well looked after, as they hold your whole body's structure together. The excess water you may be holding primarily in your waist line that makes your muscles puffy and not tight or hard. Many crash diets resort to getting the water out of you, and yet you have not lost any real fat. There are many ways to find out your body mass for both LBM (lean body mass) and your BF, or Body fat percentages. Some are more reliable than others. Dorian Yates, Ronnie Coleman, Sergio Olivia. These three men in my head truly set the world apart from the Frank Zane or Steve Reeves sculpted body types, to the new level of absolute freaky types. These mass monster's bodies were not as well proportioned, yet they complemented that with the sheer mass of other body parts. This undeniably unique idea launched the bodybuilding community into another realm. You need to know that you have the size to compete in the classes that fit your weight. You must know from watching the competition training at gyms, and by watching them on stage. You must know you can get bigger, but stay at the weight rules, thereby bringing an extra freaky package in a tighter and rule abiding manner. Bring the X factor into your training. That should help the idea of mass building to the correct proportions, but still bringing that freakiness into it. As stated above, you must know what you're getting yourself into! Look in the local magazines and gyms - they should show some of the local heroes. You may go in thinking that your lat spread will blow them away, only to realize that the local champion is twice as shredded, and twice the size, with half the waist. Do those with everyone who is in the know after gym sessions. Go find the guys who you think are competing, and talk to them to see if they may even help you. First off let me point you towards an excellent post. This post clearly shows the many different ways body fat can bring across a person's physique. I would aim for a good 6 percent body fat at the least. Yes I understand it may be your first competition, yet if you want to have a chance of receiving a high ranking, then you have to aim high. and you will land at the stars!" To safely aim for 6 % BF then, I would say that you need to be at least 10% BF. The best idea with your first competition is to take more time out to prepare and repair any mistakes that may happen along the journey. Again I point you towards a huge article by Layne Norton. This will cover any last minute queries you have on many different factors for dieting, training and posing. Firstly you must know if you're in the lightweight, middleweight's or heavyweight's divisions. These of course will clarify your decisions even more. If you have been bulking cleanly to gain that extra 15 pounds of muscle in the year, you may have been added to a higher class. This of course means more mass and more freakiness that you have to bring to the stage. Make sure you can handle your body. By this stage of your development, and your decision to compete, you should know whether you're an ectomorph or an endo-mesomorph. You must know if your insulin is not as stable as it should be, and know what to do about it. Plus how it affects you as a bodybuilder who has to manipulate all aspects of a body's composition. You must know if carbohydrates make you bloat, and to make sure you know how many grams will keep the muscles fueled, but not in excess, so as to store unwanted fat. You must know how to manipulate sodium levels two weeks out of the show. This can make or break that extra power and presence you have on the stage. Intensive posing can bring out more striations. Vascularity will improve - posing has no limits. Push on your muscles hard. Try bringing the mind-muscle connection into play. Make sure you are dark enough. A good tanning lotion applied in the directional way, will produce a vibrant shine that will bring definition to the forefront of your pose. Hairy guys will have to bite their lips and take the time to strip away all the unnecessary hair from the legs, to the chest, back and even armpits. The show is to see your muscle, not your mainly hair growth. Hair grows back, so it is temporary of course. No, I have not entered into any competitions yet. 3 months is an estimated time of 12 weeks which is 84 days or 2016 hours and finally 120960 minutes. Now, if you are to train for a good five days a week, in which each session lasts 45 minutes, then you would have used up 112.5 hours or 2700 minutes for training. That may not sound like too much, but it all adds up. You sleep for an average time of 8 to 10 hours. That equals 480 hours of sleep minimum, which is 28800 minutes. Eating six times a day minimum, day in and day out, is a requirement for your lifestyle. To prepare the meals takes an average of 20 minutes each to truly have a good nutritional meal. That equal 72 hours, or 4320 minutes to consume and finish them. What I am getting at is... 'time is of the essence.' Let's add up our training, eating and sleeping regimen. 120960 minutes (total) - 35820 (training) = 85140 minutes of free time which sadly will be used up by even more work and chores. 3547.5 hours to think, idealize and refine your plan to win the competition. That's all worth it in the end when the trophy is in your hand. You will know that you put the time and knowledgeable effort into it. I am sure that if I was this committed, I could do a quick half month bulk up to add a precious few more muscular pounds, and then I would cut to maintain the muscle, but shred down. I have an ideal for my physique, so I would want to try mirroring that in real life before I competed. If I did now, I would not place well, as my size is just not there yet. First of all we must realize that everybody is different and determining when to compete is a unique choice of every bodybuilder. You must be prepared not only physically but mentally as well. Generally a pro competitor which is bodybuilding and competing for numerous years can make decisions way easier than novice. He can almost sense when he's ready to compete and win. Of course most newbies will find it difficult to judge themselves so it's always worth to ask advice of more experienced bodybuilders and trainers to decrease risk of failure and get some beneficial ideas. The more you think about the future the better it gets. Planning is essential if you are preparing for few competitions a year. You don't want to screw yourself up from poor planning of bulking, cutting cycles, nutrition, training and other things essential if you want to be successful in competition. Try to set short, realistic and achievable goals for yourself. For example: To lose or gain a certain amount of weight in a month. Also the time when a competition takes place is important. You don't want to mix your preparing time with university exams and fail one or the other (or both). Only when you carefully plan everything, can you be sure you are focused on your contest. As long as you are focused then nothing can disrupt you. It's another essential thing if you are going to compete soon and want to be successful. It's way easier to prepare for a competition if you know who your opponents are going to be. So it's always worth it to attend as many shows as possible to know your opponents better and see possible mistakes on stage, and bypass them later. You don't want to enter a competition and see that it's in a way higher level than you thought it would be. Another strategy is to train with a competitive bodybuilder who has more experience than you. You will have a chance to share his knowledge about training, dieting, posing and contest preparation. Try to predict if you can reach your best shape at competition time. A good bodybuilder always tries to compete only when he achieves his peak. Timing here is very important and planning again comes into play. You are likely to finish in the top when you are at your best. You don't want to achieve your best shape a few days after the contest. Only when you achieve a great shape can you be sure that you are ready to compete. You must not compete if you have some major lagging body parts or many week points. First of all you must be sure that you have a balanced and symmetrical physique and no lagging body parts. Body fat is also very important. You need to get as cut as possible to look your best on competition day. Don't delay the cutting cycle, because you can be disappointed when you see the results. It's better to give plenty of time to everything. Especially for cutting. You don't want to see your big gut on the contest day and you don't want to lose muscle when shredding a lot of body fat in short amount of time. How to determine when you are ready to compete in your first bodybuilding contest? Hmm, this is a hard question. Again it's very individual. I recommend competing once when you have a strong base and well balanced physique. Mass at this stage is not so important. You need to focus on balance, condition and symmetry. Some people might achieve this in a few years of hard and consistent training and dieting, while others might need less or more. How quickly you develop is a matter of genetics and how young you start training. Some bodybuilders tend to jump into competition very quickly and fail while others prefer to bide one's time and finish with a high placing. Both choices have their pluses and minuses. If you start to compete very early you can be discouraged when you finish dead last and you could even stop training if you are a mentally weak person. But another point is that you will gain valuable experience and this will definitely help you in future. So I recommend competing early enough and getting some competition experience. When it comes to competing you have to start somewhere. So don't be surprised if, the first time you step onstage, you go completely blank. You can have very good and balanced physique, but lose against weaker opponents just because you lack experience presenting yourself. Posing, posing, posing and posing again! Posing is vital if you want to compete! After years of hard training and hours spent in the gym, you can win or lose a contest with the same body. It's all how you present your body. Posing can be a tool for drawing attention to your strengths and away from your weaknesses. You just must learn doing all compulsory poses correctly if you want to compete. Only when you know all essential poses can you be sure that you are ready to compete. I would recommend you start practicing poses as soon as possible. Study photos of other bodybuilders, attend contests regularly and learn. Hit some poses in the gym when you are training, flex muscles between sets, study yourself in the mirror. It all helps. Also remember the need for endurance. 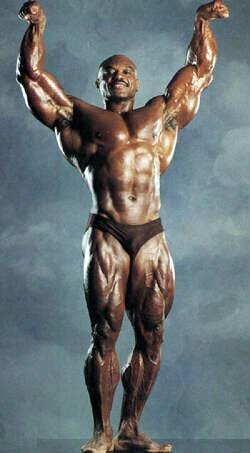 If you are not used to posing you will fail to stand flexed for a long period of time as a competition takes place. Everybody must also be aware of nutrition if they want to compete. You can't succeed in competition without a proper contest diet. You must be absolutely strict during cutting if you want to reach your best potential (cheating at all can cause you to fail). First of all newbies need to start measuring food intake and counting calories to reach maximum potential of a diet. Learning how to eat clean is also very important step towards competition diet. If you didn't have any dieting discipline before, I'm pretty sure it won't appear before contest. Once you have mastered nutrition, you can be sure that you are one step forward to competing. There are no limits or norms regarding your mass and body fat in bodybuilding. However every bodybuilder has a goal to be as muscular and lean as possible. Some people achieve it easier, some not. You should aim for as much lean mass gain during bulking and as much body fat loss when cutting as you can possibly achieve. Of course it's easier to say than to do it. Actually certain norms of size depend of your competition level, other opponents, category you want to fit in and many other reasons. But you shouldn't focus on a scale or measurements too much. The mirror is your best judge. Remember - in bodybuilding you are judged by how you look and how you present yourself, not how much you weigh or how much you can lift. You should focus on balance, symmetry, proportions, condition and thickness instead of sheer mass. Don't go overboard with increasing the total number of sets and reps. Light weights will decrease muscle size and strength. Include more isolation exercises to isolate each area of every single muscle. Focus on your lagging body parts even more when you're approaching contest. Include a few cardio sessions a week to your training regimen. It will increase your metabolism and hasten your fast loss. But do it carefully; if you are not losing enough fat - it's better to decrease calorie intake instead increasing cardio. You don't want to lose muscle. "Light weight, light weight baby." Increase protein consumption. It will help to preserve muscle when dieting. You should consume at least 1.5gr of protein for 1 Lbs. of bodyweight. Decrease carb intake. But don't do any extremes like "carb deplete", etc. unless you want to lose a lot of muscles in a short amount of time. Limit fat intake to a minimum. Eat less and more often to increase metabolism. Use supplements to preserve more lean mass when dieting. BCAA's in this case are extremely helpful. You should also consider taking glutamine and/or HMB. You can also take an effective fat burner for speeding your fat loss. Don't limit your sodium intake and cut it one day prior to the contest for more dramatic effect. Stay well hydrated all the time. Consume plenty of liquids to avoid dehydration. You should consume at least 1-2 gallons of water a day. Limit your fluid intake slightly only starting the night before a contest. Posing Trunks - It's important to buy the right ones well before the competition. Trunks should fit you perfectly. Color is also important. You don't want to detract judges from your overall appearance. Tanning - A good tan and oil is essential part of your success in a contest. It helps to keep your definition from disappearing under the bright stage lights. You must choose the one that fits you best. Hair - Hair shaving prior to a contest is essential part of contest preparation today. It gives the skin a much smoother and cleaner appearance and makes the muscles more visible. It's also worth it to shave well before a competition and then giving yourself periodic touch-ups. If you cut yourself - there would be plenty of time for your skin to heal. Hairstyle is also important. You should keep your hair (style) to the minimum. Shorter hair tends to make body look more massive. Generally you are preparing for bodybuilding, not a rocket science competition. So keep it simple! Don't be nervous; just keep doing what you have to do. Good Luck! I've never entered a bodybuilding contest. I'm the sort of person, who likes to prepare. I hate to be in a rush. Life is long so I think I will compete soon. At this moment I'm doing my bulking cycle and trying to put as much lean mass on as I can. After some time cutting will come, so we will see what's left of me at that time. Would I be able to prepare for a contest with only 3 months time? I think I would. I wouldn't be in a best shape of my life but I could prepare. 3 months period is short amount of time, but I think if I would correct my diet to perfection and include cardio I would achieve something. Also I don't have any big week points at this time so I bet I could prepare.